So, just how popular is IKEA? It's estimated that 10% of living Europeans were conceived on an IKEA-produced bed. It's time you learned a little more about the company, its reclusive owner Ingvar Kamprad (who may or may not be worth more than Bill Gates), and his continuing quest to install flat pack, streamlined fixtures across the seven continents. The inspiration for IKEA's design philosophy came when taking the legs off of a chair to fit it into a car. IKEA founder Ingvar Kamprad was so irritated by the experience that he developed the concept of flat pack design. The novel packing method had a twofold appeal: it allowed easier shopping for urban Europeans who depended on public transportation, and it also lowered the company's shipping costs dramatically. But the store wasn't an immediate success. 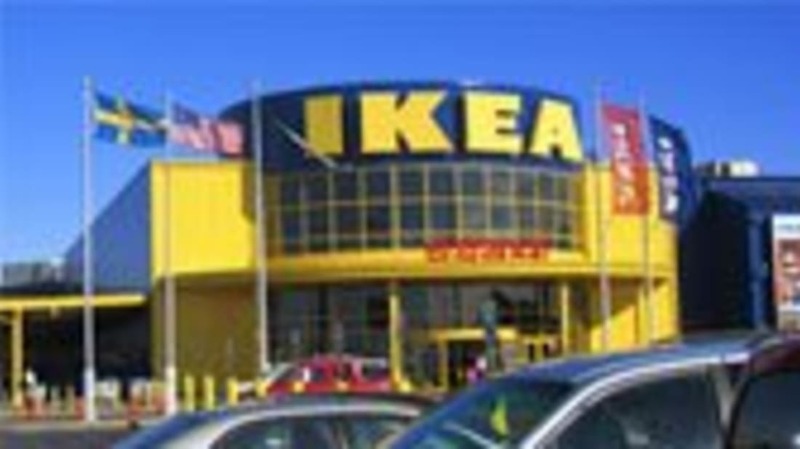 IKEA floundered in Sweden for thirty years (THIRTY YEARS!) before finding an international audience. While we've written about IKEA cloaking itself as a charitable institution, that isn't the blue and yellow Ã¼ber-store's only dirty secret. While Kamprad today is known as a frugal billionaire who drives a '93 Volvo, eats at middle-class restaurants, and outfits his home entirely in affordable IKEA products, his legacy is tainted by his past involvement with pro-Nazi organizations. Between 1942 and 1945, Kamprad joined, fund-raised, and recruited members for a fascist, Nazi-sympathizing group in Sweden. The news only came out in 1994, when his personal correspondence with fascist Per Engdahl was released to the public. Kamprad immediately apologized for his involvement and claimed it was the biggest regret of his young life. He also wrote to every Jewish employee on his staff to issue a personal apology. Of course, none of this stopped the information from being a point of controversy when the store first arrived in Israel, but the world seems to have forgiven him. Today IKEA is one of the only international companies to spread to both Israel and Arab countries. In fact, the store is so popular in the Middle East that three people were trampled to death at the store's 2004 grand opening in Jeddah, Saudi Arabia. The beginnings of IKEA in America were inauspicious, with European compact efficiency conflicting with America's "bigger is better" creed. In the 1980s, for example, many customers bought vases, mistaking them for water glasses. They were also wary of a dining room table that couldn't hold the girth of a full size Thanksgiving turkey. IKEA's designers only changed their mindset in how they approached American design after the head of US operations made a stunt of it: He handed out t-shirts to Swedish designers that declared "size matters. " They apparently got the message. The IKEA catalogue was and is the company's greatest weapon in its arsenal. A 300-page missionary text, it goes out to over 180 million people in 27 different languages. Each year, there are more copies of the IKEA catalogue printed than the Bible. A bit of a cult following has also developed around the catalogues, with earnest readers on the lookout for hidden messages in the pictures, such as running references to Mickey Mouse and weird, obscure books on the bookshelves. Despite early stumbles in America, twenty years later, the store has so ingrained itself into our society that a trend amongst urban hipsters is to host dinner parties at the stores. A meal of lingonberry jam and meatballs at the cafeteria for the host and guests, and the living room displays make perfect venues for a round of Taboo and Pictionary. A blog posting chronicling the first party in Sacramento led to a string of copycats across the country. So far, IKEA management doesn't seem to be complaining.